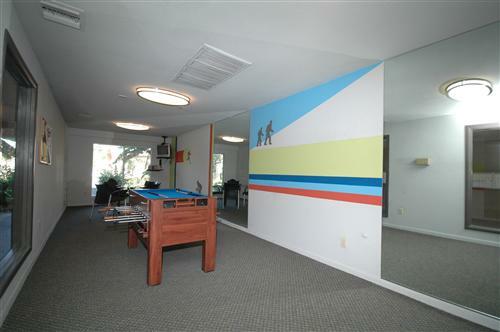 This 2nd floor, 2 bed/2 bath,condo offers a unique design and decor that is comfortable and enjoyable. Conveniently located in Old Town Scottsdale just south of Camelback Rd., it's in the heart of Scottsdale. The balcony has a gorgeous view of the pool. The pool area includes a Hot Tub and has many tables, lounge chairs, and barbecue grills. 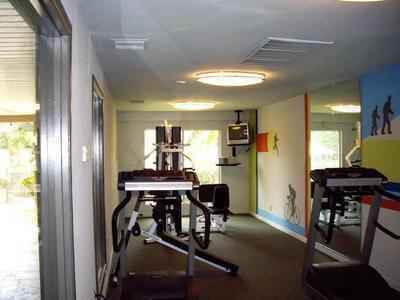 The complex has a large clubhouse and fitness facility. This one of a kind unit features tile throughout kitchen, living room, dining room and bathrooms with carpet in the bedrooms. Full size kitchen features granite countertops, stainless steel appliances, and upgraded cabinets along with complete cooking utensils. The living room has 2 couches, 65" 4K smart tv and Blu-ray player. Master bedroom has comfortable queen size bed and a 55" 4K smart tv. The guest room has two twin size beds along with a flat screen smart tv. This unit has cox expanded cable, internet, phone w/ answering machine, and designated covered parking. 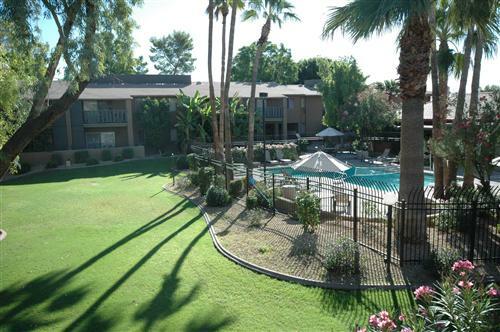 This rental is in the heart of Old Town and is just minutes to many world-class restaurants, golfing, biking, hiking, and even catch a Spring Training game, shopping at Fashion Square (Neiman Marcus, Nordstrom, etc), and the famous Fifth Ave Shops. Only 15 minutes to Sky harbor Airport. Non-smoking unit. Small pets allowed with additional deposit.